Russian President Vladimir Putin oversaw a test of the new hypersonic glide vehicle on Wednesday from Dombarovsky Air Base, declaring that the weapon is impossible to intercept and will ensure Russia's security for decades to come. 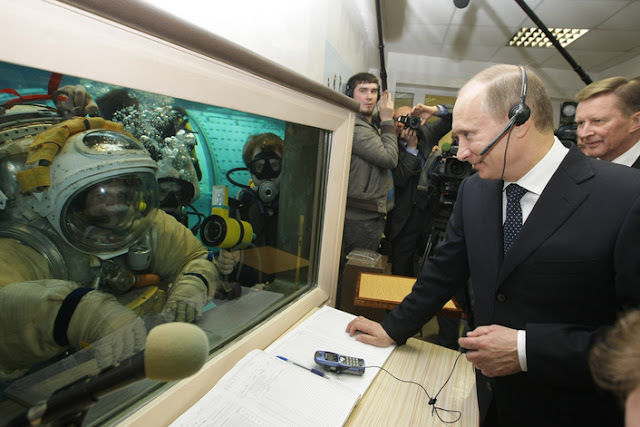 Speaking to Russia's top military brass after watching the live feed of the launch of the Avangard vehicle from the Defense Ministry's control room, Putin said the successful test was a "great success" and an "excellent New Year's gift to the nation." "From next year, 2019, Russia's armed forces will get the new intercontinental strategic system Avangard. It's a big moment in the life of the armed forces and in the life of the country. Russia has obtained a new type of strategic weapon," Putin said. Why NATO should fear Russia's new Avangard Hypersonic Weapon? The missile system doesn't guarantees any Air Defence! Avangard which also known as (Objekt 4202) is a hypersonic, supermaneuverable and versatile glide vehicle developed by Russia. 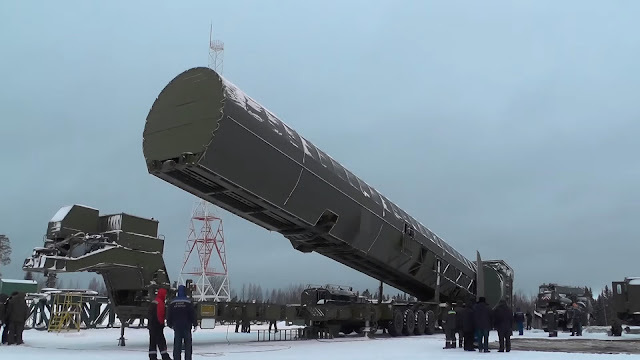 It designed to carry many payloads include the RS-28 Sarmat super-heavy ICBM. Avangard can reach the speeds up to Mach 20 or approximately 24,700 km/h. This 6th generation missile has ability to deploy countermeasures during its flight allowing it to penetrate any airspace virtually undetected by an advanced Air-defense. Avangard can deliver nuclear warheads, conventional payloads and fit with an ICBM. Once it released from a launching-pad, it employs some aerodynamic forces to create a mystifying effect like ''Aurora phenomenon'' in the sky while on its way sailing into the atmosphere until to the second last layer of mesosphere before making a trajectory to the target. Previously, Russia has successfully tested the same missile at least twice and now it given permission to enter the service as early as 2019. Moreover, the precision and speed of the weapon is believed to have enough force to obliterate smaller targets, such as vehicles' convoys or entire military sectors with quite extended radius. Russia's Avangard hypersonic missile testing and how the media reacted across the globe. The test comes amid bitter tensions in Russia-U.S. relations, which have sunk to their lowest level since the Cold War times over the conflict in Ukraine, the war in Syria and the allegations of Russian meddling in the 2016 U.S. presidential election. Putin's hopes for repairing ties with Washington under President Donald Trump have fizzled amid investigations into allegations of Trump's campaign ties with Russia, and tensions have escalated as the U.S. administration slapped Russia with new waves of sanctions. A 2019 deployment schedule would put Russia ahead of China and the U.S. in the hypersonic, nuclear-capable boost-glider arms race. China’s hypersonic glider analogue to Avangard, the DF-ZF, is still in testing and appears to be on track for a 2020 release. Russia’s focus on advanced, nuclear-capable hypersonic weapons with purported first-strike capability like Avangard reflects a particular-kind of strategic thinking: researching, developing, and manufacturing a few un-interceptable nuclear warheads that can be more cost-effective over the long term than trying to match NATO’s combined output of conventional strategic weapons.